It has been a great start to the racing season for Team Jochen Hahn. 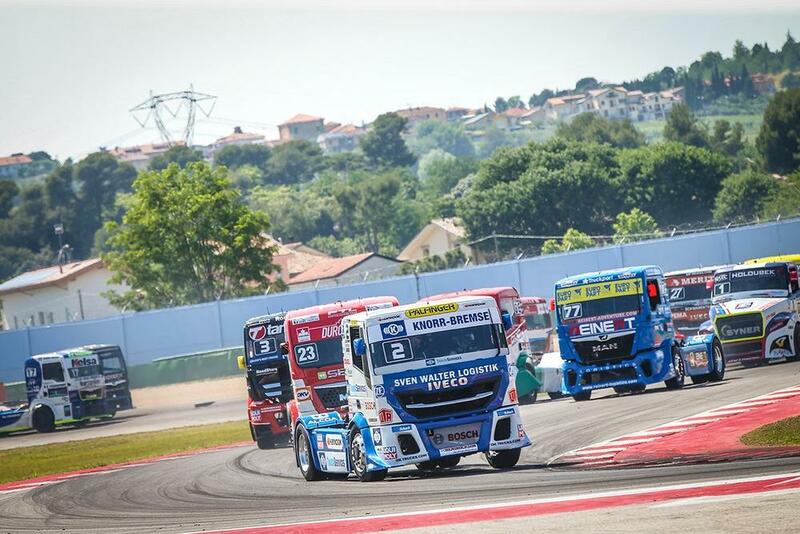 Last weekend in May, the Iveco race truck with brakes and steering system supplied by Knorr-Bremse recorded two victories at the Misano World Circuit, Italy, and took the lead in the overall rankings. Working side-by-side with Team Hahn Racing, Knorr-Bremse has channeled its expertise into the preparation of the Iveco race truck. As one of the team’s main sponsors and an important engineering partner, the company has equipped the truck with a specially developed and adapted pneumatic braking system – from air supply to brake calipers – as well as a steering unit from Knorr-Bremse SteeringSystems. Knorr-Bremse TruckServices will also be at the Nürburgring to supply a wide range of spare parts and services as required. Competitions like this are all about excitement and uncertainty, but a solid foundation has now been laid for Jochen Hahn to emerge once again as the victor in 2018. Knorr-Bremse TruckServices will have its own tent at the Nürburgring (29.06. to 01.07.2018, Stand No. G12). Their partnership with Team Jochen Hahn makes a lot of sense – after all, high performance is required by trucks both on the race track and in daytoday operations on normal roads. As well as enjoying the ancillary program of activities, the Knorr-Bremse service experts are looking forward to the opportunity to discuss technical matters such as the use of the ProFleet Connect telematics system. Knorr-Bremse is the leading manufacturer of braking systems and supplier of additional sub-systems for rail and commercial vehicles, with sales totaling over EUR 6 billion in 2017. In 30 countries, some 28,000 employees develop, manufacture, and service braking, entrance, control, and energy supply systems, HVAC and driver assistance systems, as well as steering systems, and powertrain and transmission control solutions. As a technology leader, through its products the company has been making a decisive contribution to greater safety by road and rail since 1905.